They are talking about you, are you listening? We talk a lot about social media—the importance for your business to be on it and best practices for you to get started. Another important business challenge is productivity. I’d like to take this opportunity to talk about both: how to be productive and consistent on social media. As we all know, your days are filled with tasks and events that don’t include social media. For many, social media is something you dive into when you have a few spare moments. However, this approach leads to social media profiles that are rarely updated and ones that you eventually forget about altogether. Instead of hiring someone to run your social media profiles (especially if you’re just starting out), I’d like to introduce you to a tool that can help you remain up-to-date with consistent posting to any community facebook page. Plus, it’s free! ailign engages and connects buyers with sellers through Social response automation. ailign is a desktop and mobile app that saves businesses some serious time when it comes to social media. Part of the sales role is to maintain an active social presence, and I know I personally couldn’t do it without ailign. 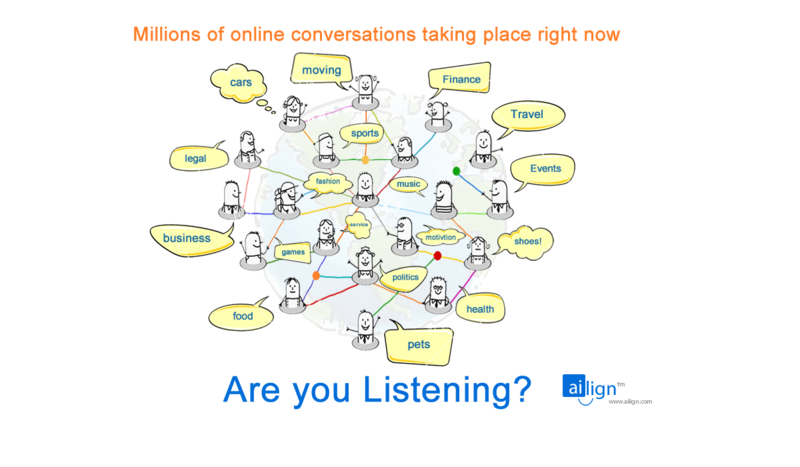 The time-saving aspect of ailign comes from its ability to listen for specific social post content in real time. So, I’m able to setup just one campaign into ailign and then monitor social post on any page of my choice for the entire year. Dedicating one hour to it, I’ve now covered a full year of post engagement activity. You simply select community pages that you want to monitor, there are over 70 Million to choose from, choose the keywords you want to listen for, copy and paste links you’d like to share (landing pages, product information, articles), type in whatever text you’d like and add pictures. Click save, and you’re done! Above is the ailign campaign AI wizard. A simple intuitive resource to get your campaign up and running it only a few minutes! The ailign wizard will even suggest hundreds of Facebook pages to listen to specific to your target market. 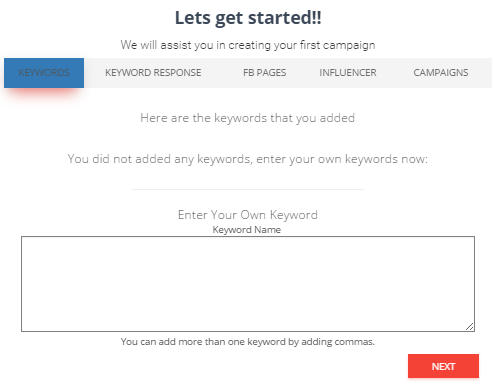 Campaigns are based on keywords specific to your product, industry, and target market. The same keywords you might use to list your content with a search engine. Keywords are then used to suggest Facebook pages that host conversations specific to your product/service. With over 70 Million FaceBook pages it’s likely that thousands of them apply well to your target market. 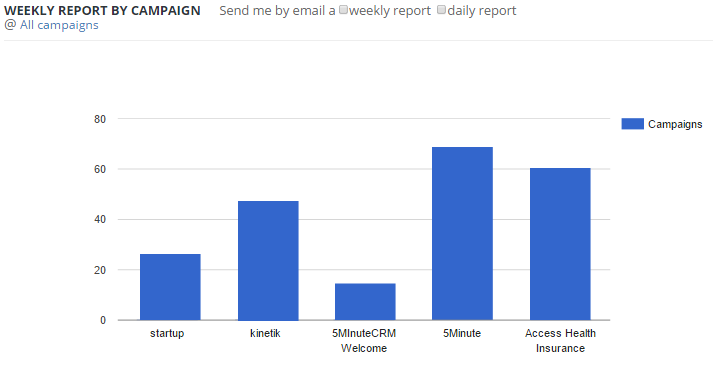 A single campaign only taking a few minutes to setup can result in 100’s of targeted direct response engagements monthly. Use multiple keywords within a campaign to dramatically increase your engagement opportunities. You can setup unlimited templated responses to any keyword. ailign AI will continually suggest facebook pages to add to your campaign. Have a special event or limited time product/service offer? Set a start and end date to your engagement posts using ailign’s scheduling tool. ailign is free for it’s basic plan, so there’s no reason not to try it out and see if it might be something that could work for your company. If you’re looking for some guidance on social engagement optimization, check out our eBook: Building the Ultimate Socail AI Campaign. This eBook will help you get started with social media and gives you an overview of the essential components to optimize your social media response campaigns. This entry was posted in Automated Information, Social Media and tagged ailign, social ai, social listening, social media. Bookmark the permalink.